Disneyland can be a very crowded place at certain peak times of year. During these Disneyland peak seasons, the afternoons are usually the most crowded. 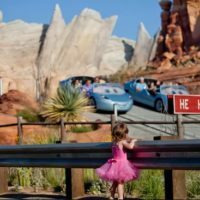 I put together this list of things to do in the busy Disneyland afternoons during these peak seasons. During a recent trip during the Christmas holidays, the parks hit capacity on multiple days with the front gates to Disneyland park completely closed. Disney California Adventure never reaches capacity and always remains open as a place for guests to visit while Disneyland gates are closed. Side Note: The Disneyland management team closes the front gates in order to maintain a better guest experience and still have some attractions with manageable waits. There is a myth that the fire department closes the gates because of fire hazard, and while this is taken into consideration, it is a special management team, not the fire department, that make the final decision. Below are our top ten things to do at Disneyland when the crowds have gotten too long. During most peak season days at Disneyland, the parade runs twice. 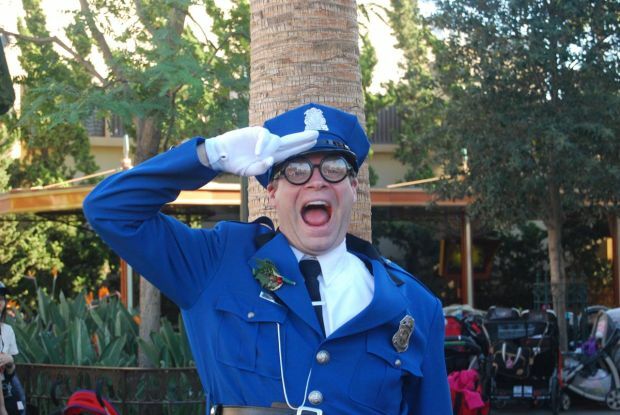 I personally believe that the parades are an essential part of any day at Disneyland. You can listen to the full history of the Disneyland parades in our dedicated podcast episodes here: part 1, part 2, and part 3. 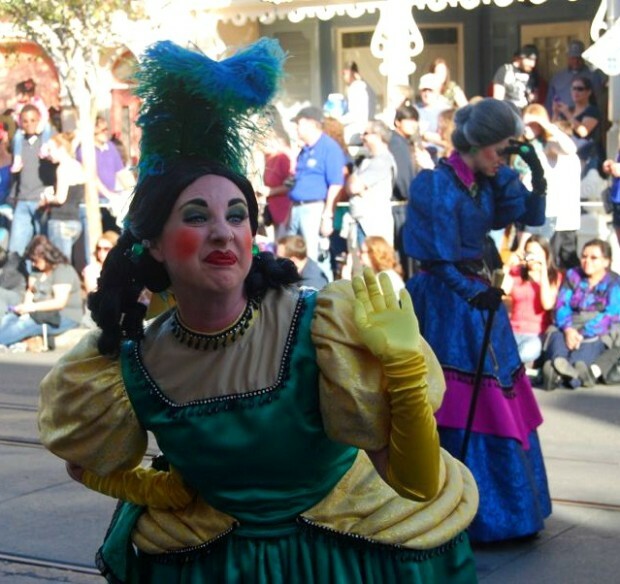 Read more about Drizella, Anastasia, and their Mother here. My favorite spots to watch are either in front of the Alice in Wonderland restrooms or the Main Street firehouse. For the Alice in Wonderland spot, arriving early is required. This area of the parade route is roped off about 15 minutes before the parade begins. For the firehouse spot, locate little brown plugs in the ground. These plugs are the base for the poles and rope that close off the sitting area. Sit anywhere in front of these brown plugs and you will be inside a fantastic viewing area that will eventually be roped off before the parade begins. The Disneyland Fire House is my recommended place if you plan on exiting the park after viewing the parade. Where do you like to sit when watching? Many of the larger attractions have Single Rider lines, that are usually much shorter than the regular standby line. The Single Rider line is used to fill in empty seats and splits up parties. The attractions in Disneyland that include Single Rider are the Matterhorn, Splash Mountain, and Indiana Jones. The single rider attractions in Disney California Adventure are Soarin’ Over California, California Screamin’, Radiator Springs Racers, Goofy’s Sky School, and Grizzly River Run. Click here for more information on Single Rider passes. While I do highly recommend Single Rider Lines in the afternoon, even this can have a long line in the afternoon. One of the things that makes me love Disneyland so much are the incredible live talent and entertainment. The afternoon is the perfect time to take in the performing acts varying from the Disneyland Dapper Dans to the new Mickey and the Magical Map show or the amazing Aladdin- A Musical Spectacular. I highly recommend Mickey and the Magical Map and Aladdin. During our recent trip, we saw both shows twice. Wow! 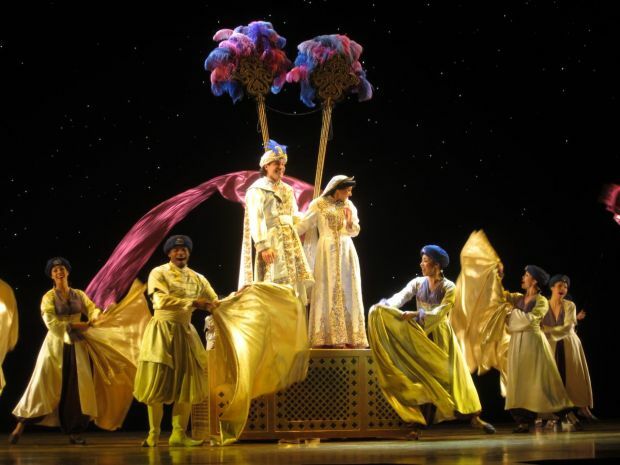 I love to the jokes in Aladdin and the musical talent of the cast of Mickey and the Magical is incredible. This is the perfect way to spend a busy afternoon in Disneyland. For Aladdin get seats in the Orchestra seating area on the left hand side when facing the stage in the second or third row. Being this close to the action makes the show even more special. For Mickey and the Magical Map, don’t worry about which row you are in, just sit in the middle section for the best view of the screen and stage. Both the Columbia Sailing ship and the Mark Twain Riverboat are great long attractions that have very short waits. For the Mark Twain, ask a Cast Member before you board if you can be the captain of the boat for that time around the river. The captain of each voyage receives a pilot’s certificate to commemorate their experience steering the Mark Twain. Take a barge over to Tom Sawyer Island. This is a perfect place to let kids run around and let off some steam. During the busy hours of the park, this is a fantastic place to get some walking in without feeling like a fish in a sardine can in the walk ways. The least known boat attraction on the river are the Davy Crockett Explorer Canoes. These canoes can be boarded from Critter Country in front of the Hungry Bear Restaurant. 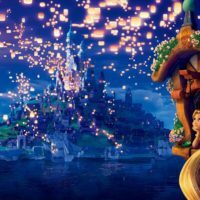 Recently I rode the canoes for the first time, completing my checklist of every Disneyland attraction. Sometime after lunch I get very hungry for good snack. Are you the same way? Around this time I like to stop and eat one of my top three favorite Disneyland snacks. 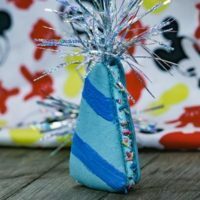 Another one of my favorites that isn’t included on the list linked are the Mickey Mouse Beignets that are sold at the Mint Julep bar. 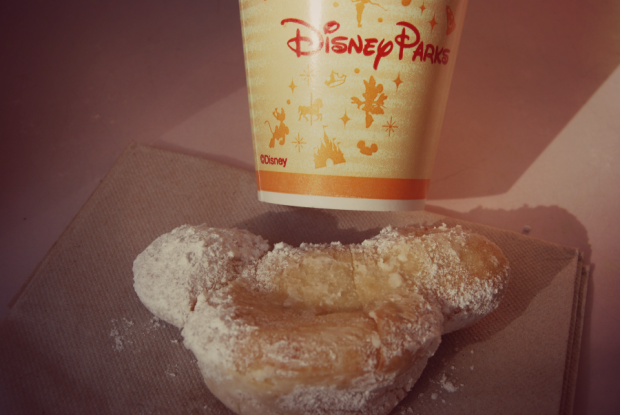 These Disneyland beignets are a fantastic treat when they are warm. During the holiday season they add unique flavors including gingerbread and pumpkin. I personally like the regular beignet more than the pumpkin. This is actually quite strange as pumpkin flavored foods are some of my favorites. After getting your Mickey Mouse beignet, take a seat in this French Market courtyard and listen to a set of music from the Royal Street Bachelors. Their music is so relaxing and includes a range of songs. The Disneyland Railroad operates all four trains during the busy seasons and weekends, so the wait between trains is likely less than five minutes in the afternoons and early evenings. There can be long lines to board the trains, especially in New Orleans Square. But, even with a line, you will usually only have to wait 10-15 minutes to board. During this busy time of afternoon, this is a perfect time to head out of the parks to the Downtown Disney district where you will find all kinds of souvenirs as well as clothing. 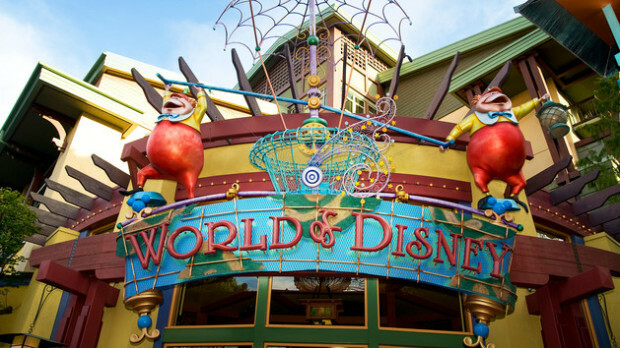 World of Disney is the perfect place to get some shopping in. This store is your hometown Disney Store on steroids times two. Recently a huge new Starbucks was added to Downtown Disney that makes a great place to sit down if you don’t want to walk all the way back to your hotel. Check out our full list of Disneyland souvenirs and recommended purchases. Great Moments With Mr. Lincoln is one of the greatest American tributes in Disneyland. Walt Disney’s favorite historical figure was Abraham Lincoln, so when Illinois came to Walt Disney Imagineering to create an exhibit for the 1964 New York World’s Fair, they jumped at the opportunity. This show was brought back to Disneyland after the New York World’s Fair and can now be found in the Disneyland Opera House. Disney Imagineering has created multiple iterations of the Abraham Lincoln Audio-Animatronic figure. The current figure is the most advanced human Audio-Animatronic figure in a Disney theme park. When the Walt Disney Imagineering created Buena Vista Street, the new entrance to Disney California Adventure, their goal was to create a beautifully themed environment to welcome guests into the park. Part of this immersive environment is the Red Car Trolley and Citizens of Buena Vista Street. Next time you are walking into Disney California Adventure don’t rush through Buena Vista Street, take a moment and meet the different characters. These “citizens” of Buena Vista Street are very dedicated to their individual roles and quite pleasing to talk to. The Animation Building in Disney California Adventure is a perfect place to spend a busy Disneyland afternoon. Inside the building you will find the Animation Academy where a Cast Member will teach you how to draw a classic Disney character or one from the latest hit films. For a great souvenir, ask the teacher at the end of the class for the drawing they drew in front of the class. Also inside the Animation Building is Turtle Talk with Crush, the Sorcerer’s Workshop, and a meet and greet with Anna and Elsa from Frozen. Finally you could just take a break from Disneyland in the afternoon. During our recent four day trip to the parks we were evenly split. Two days we stayed out in the afternoons, enjoying the parades and experiencing some of the attractions. On the other two days we TOOK a break. My biggest suggestion when planning a Disneyland vacation is to give 3-5 days in the parks to give you more time and allow you time to rest. These late afternoons are crazy crowded in the parks, and sometimes the best thing to do is to leave for a while. Go back to your hotel and swim in the pool or take a nap. Not only will you miss the big crowds, but you will also be much more prepared to stay later into the night. 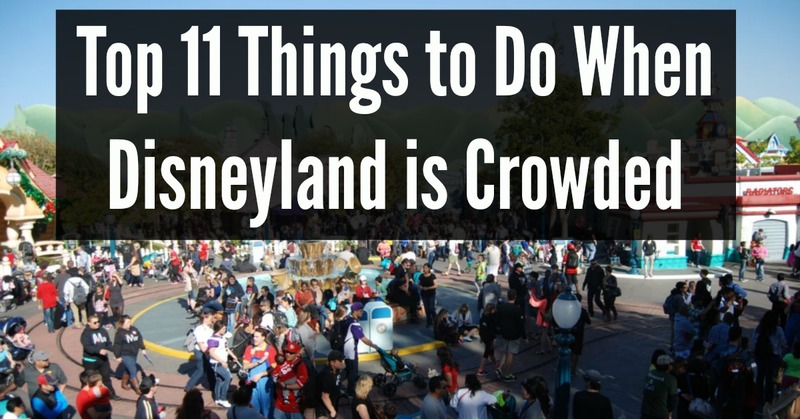 These are my highly recommended activities for those busy afternoons at Disneyland. What do you like to do to avoid crowds? For more Disneyland planning information and tips, head to MickeyVisit.com and subscribe to the Disneyland planning newsletter. Share your favorite thing to do on crowded days on our Facebook page. Hopefully you already had the chance to take a look at my book. If you love the secrets, you will love this.